Ever misplaced your cellphone? This shouldn’t happen anymore if you put it in my attractive Cellphone Holder. 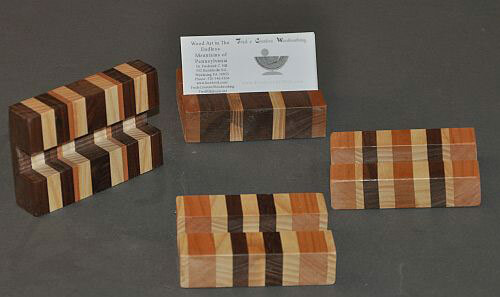 These attractive wooden holders can also be used as a Business Card Cozy. They are constructed of multiple layers of hardwood in an attractive pattern. It will hold your cellphone, business cards, recipes, etc. depending on what you want it for. The holder measures approximately 2.6" wide x 3.5" long with a 0.75" wide by 0.6" deep groove to hold your phone or cards. 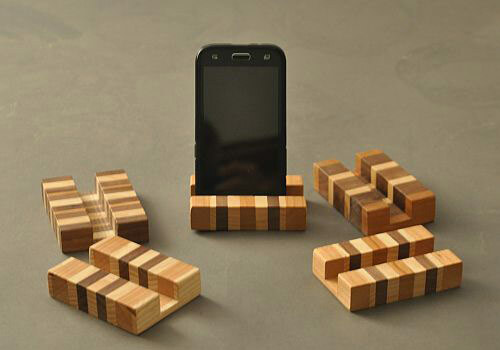 It is wide enough to reliably hold the phone so it doesn’t tip over.